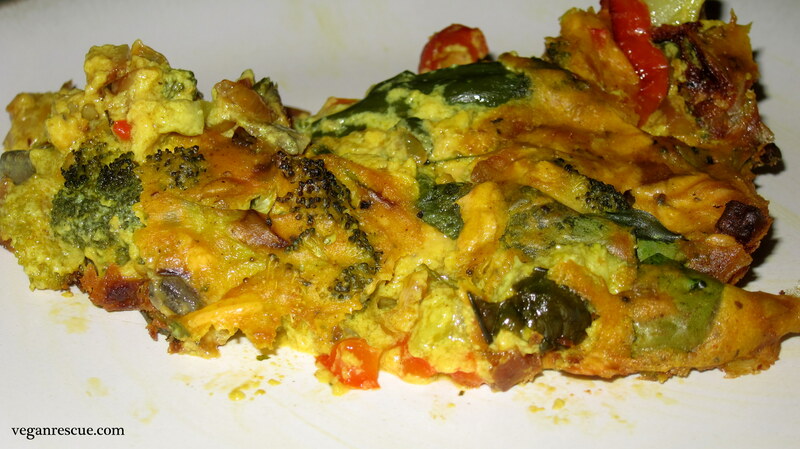 F-The Irony – F for Frittata, Frustration, Fail? Sure, history has proven that accidents and failures in the kitchen have resulted in many new recipes and flavor combinations. This is one that I’ll categorize under frustration. 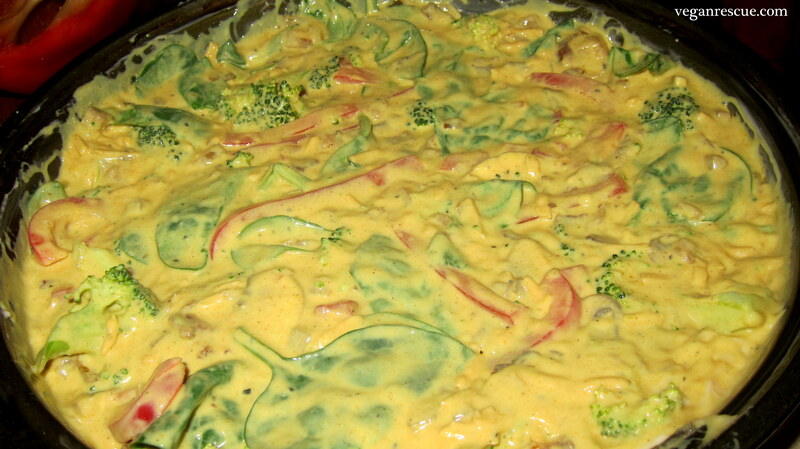 I’ve attempted the “Frittata” several times this past year tweaking here and adjusting or omitting there. Don’t get me wrong; the flavors are exactly where I want them to be, incredible and delicious. It’s the texture that comes out soft and in prior attempts, mushy even. The texture was better suited maybe as a dip :-). That is my only criticism at this time – the texture, is it that of a frittata? I’ll keep at it. It does taste great and we manage to devour it each time. This is one recipe I’ll repost in the future again once perfected. Enjoy! -Preheat Oven – 425 degrees and grease 9-inch baking pan. -Heat Olive oil in sauté pan over medium heat. 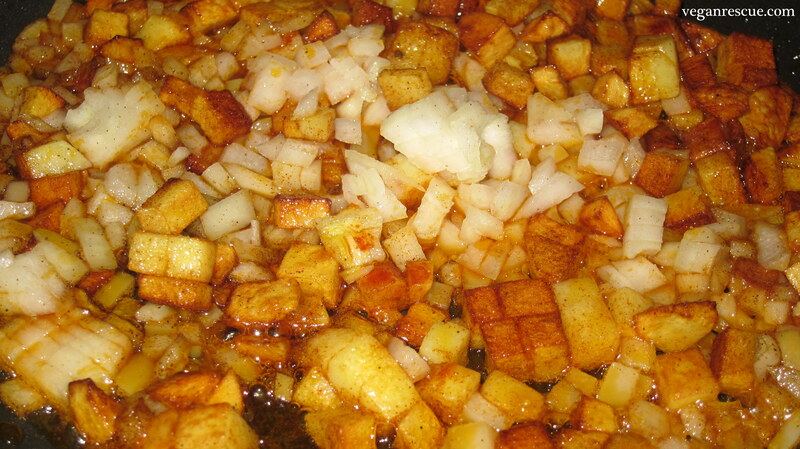 Add diced Potatoes, ½ Tsp Salt, Paprika and sauté for 4 minutes. Then add chopped onions and heat through for another minute. Turn off heat. 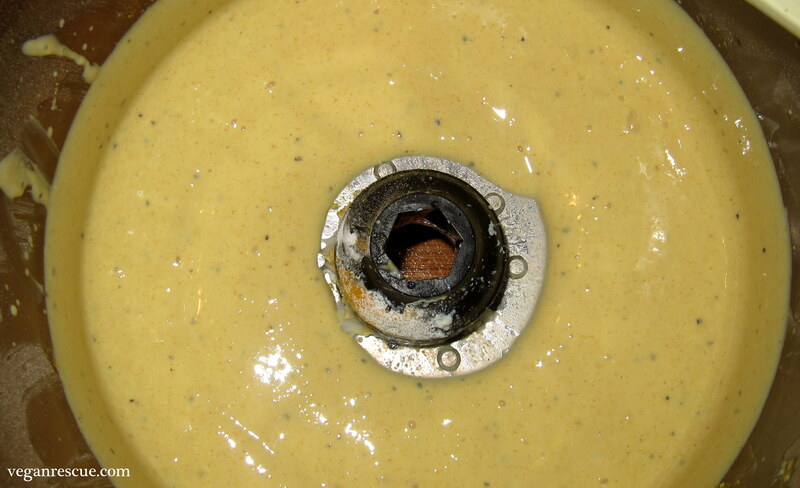 -In Food Processor combine: Silken Tofu, Potato Starch, Egg replacer, ½ Tsp Salt and Pepper. 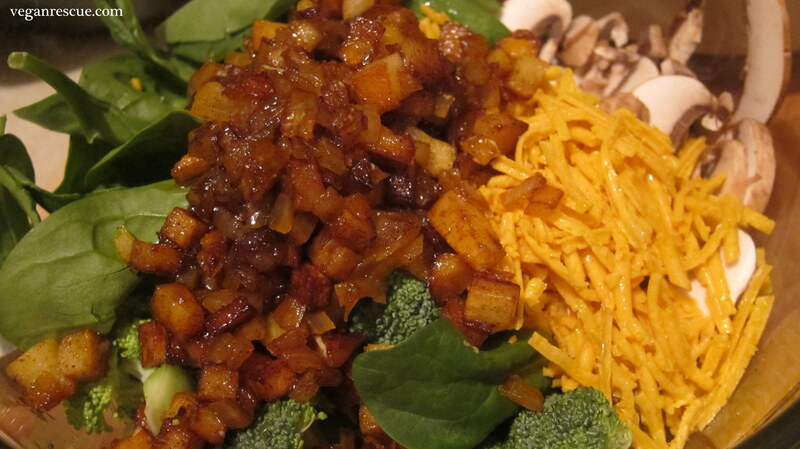 -In separate bowl combine: Baby Spinach, Broccoli, Mushrooms, Daiya and Potato mixture. To this add Tofu mixture and Red Pepper to combine. -Add mixture to baking pan and bake for 15 minutes at 425 degrees. Reduce Heat to 350 and continue baking for another 20-25 minutes. 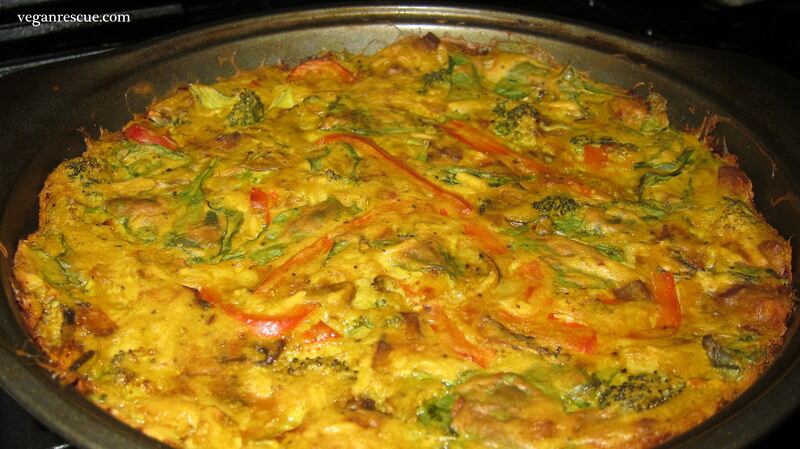 -Let Frittata rest for 10-15 minutes before serving.